Winter Springs Babe Ruth Opening Day! We'll be there! Winter Springs Babe Ruth Opening Day is right around the corner! We are so excited to support this great sports organization for kids! Please stop by our booth, say hello and pick up some goodies. 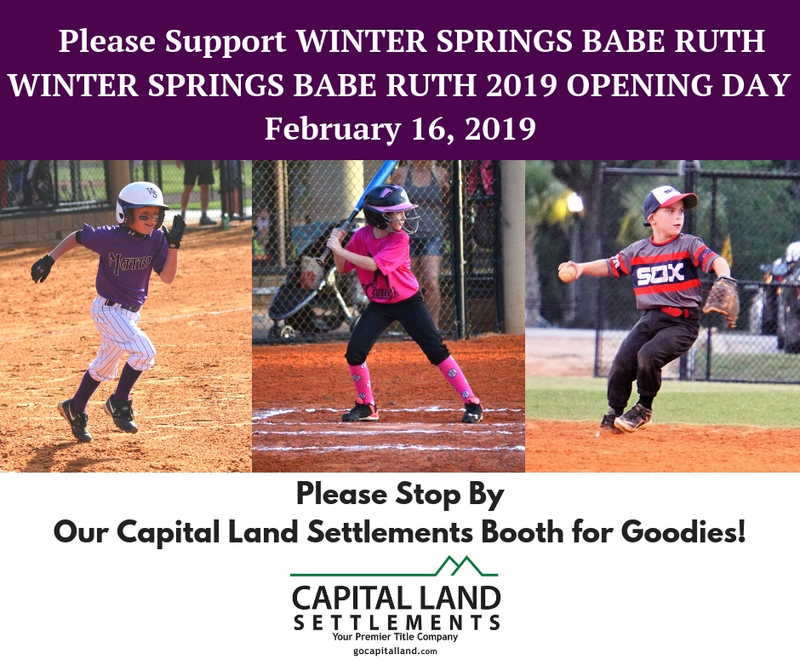 Winter Springs Babe Ruth Opening Day is February 16th starting at 9:00 a.m. See you all there!